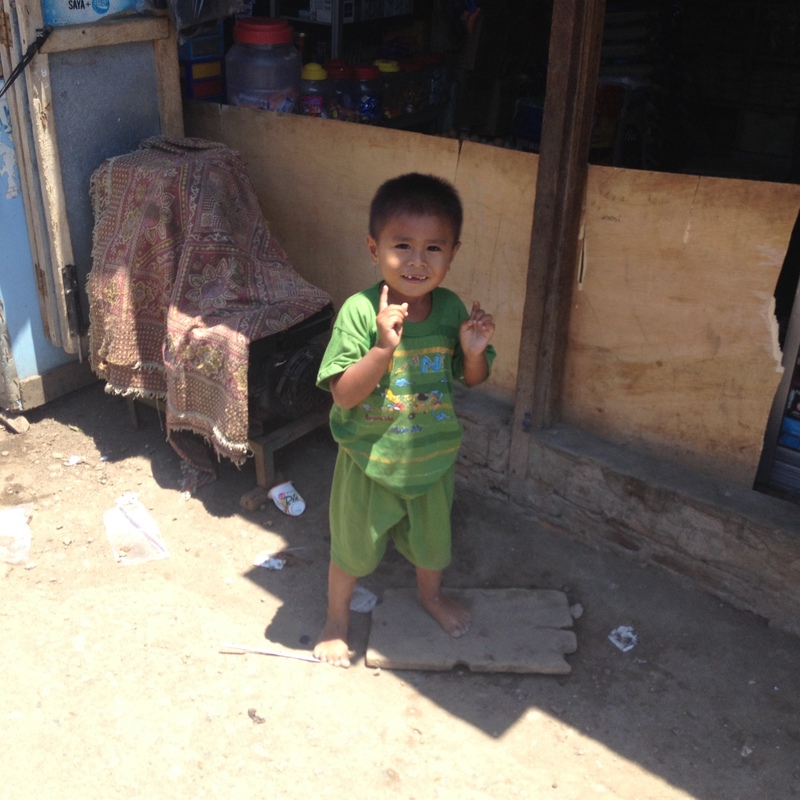 …and as many of you read from my last post, my mission to Flores, Indonesia was to reconnect with our friend Martina. 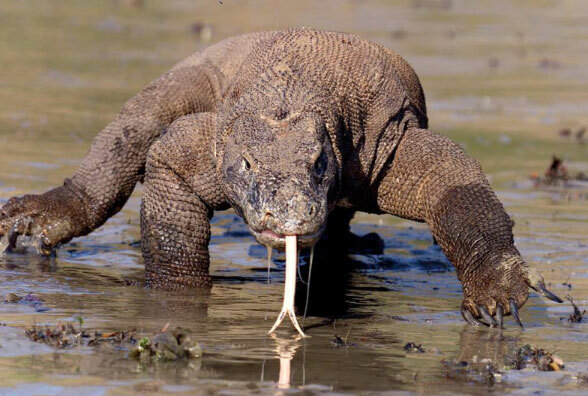 What is continually fascinating about Indonesia is it’s mind-boggling diversity. Bali is mainly Hindu, but Flores is mainly Roman Catholic…and they are both in the middle of the largest Muslim country in the world. 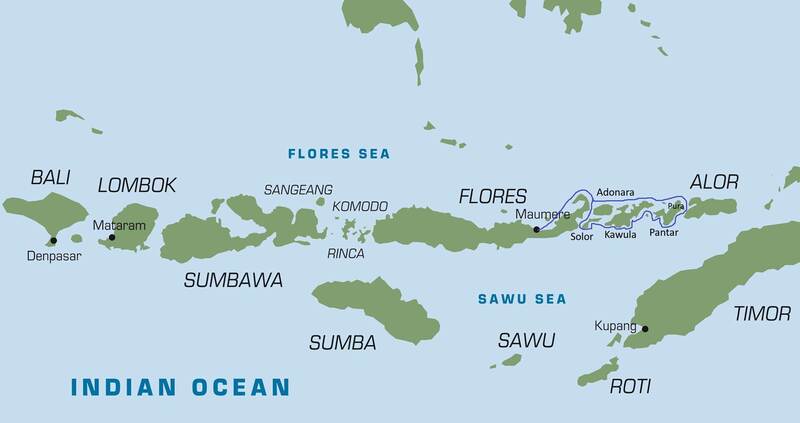 Not to mention that the flora and fauna of Flores are more like the dry parts of Australia than the tropical islands of Bali and Java. The local languages are completely different and the cultures aren’t even closely related. The geology is pretty similar though. Just about all of Indonesia is on the eastern edge of the Pacific Ring of Fire…(California is on the west side) and that means lots of volcanoes and quite a few earthquakes. 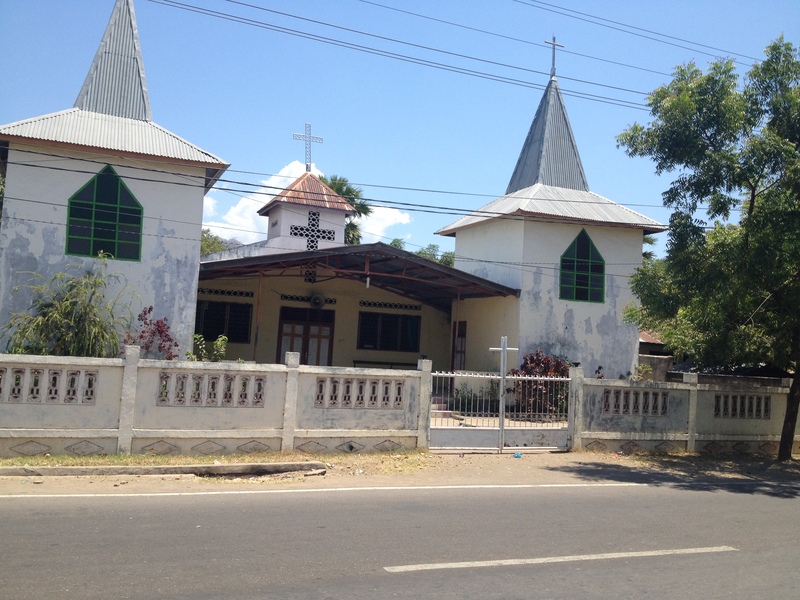 Visiting Martina and her family meant I got to know a little about the Catholic way in Flores which arrived with Portuguese traders in the 16th century. Both Jek and Martina are devout Catholics. Martina regularly attended mass at the Newman Center in Berkeley when she lived with us. Here too her family regularly attends mass. Their son Nick goes to the very tough but high quality Catholic junior high and high school. The priests and bishops appear to be a positive force in the community. Not only providing services like schools and hospitals, but also providing a credible and positive social force. I’m sure there are exceptions, but these points are based on discussions with several people western and Indonesians. But it’s Catholicism with its own flavor. 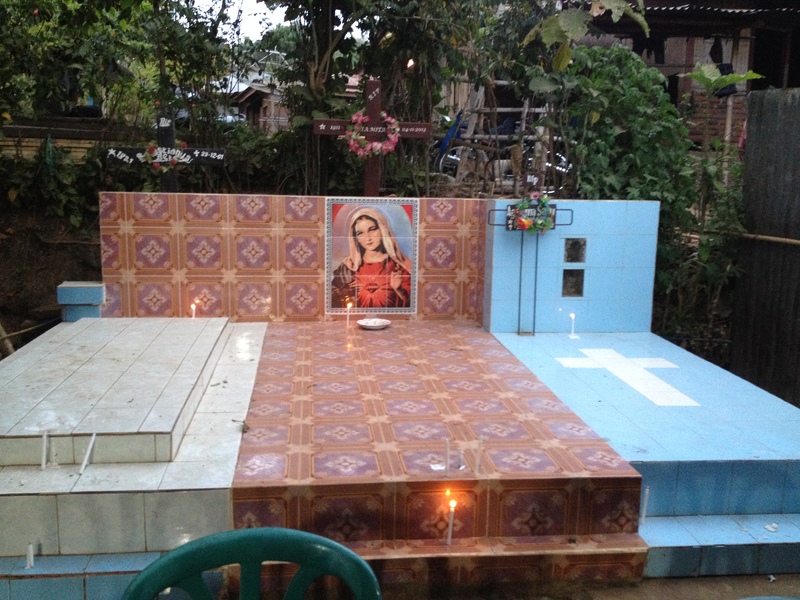 Driving around on a motorbike I saw that almost every house had its own tomb where the ancestors are buried. 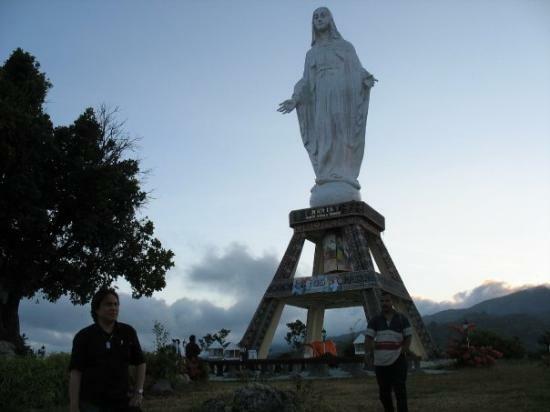 Apparently, this goes back to the traditional religion of Flores before the missionaries arrived. 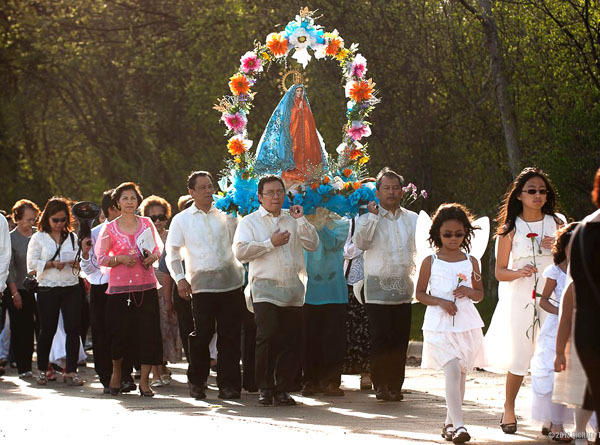 And, Flores Catholics celebrate some festivals you don’t see often anywhere else. 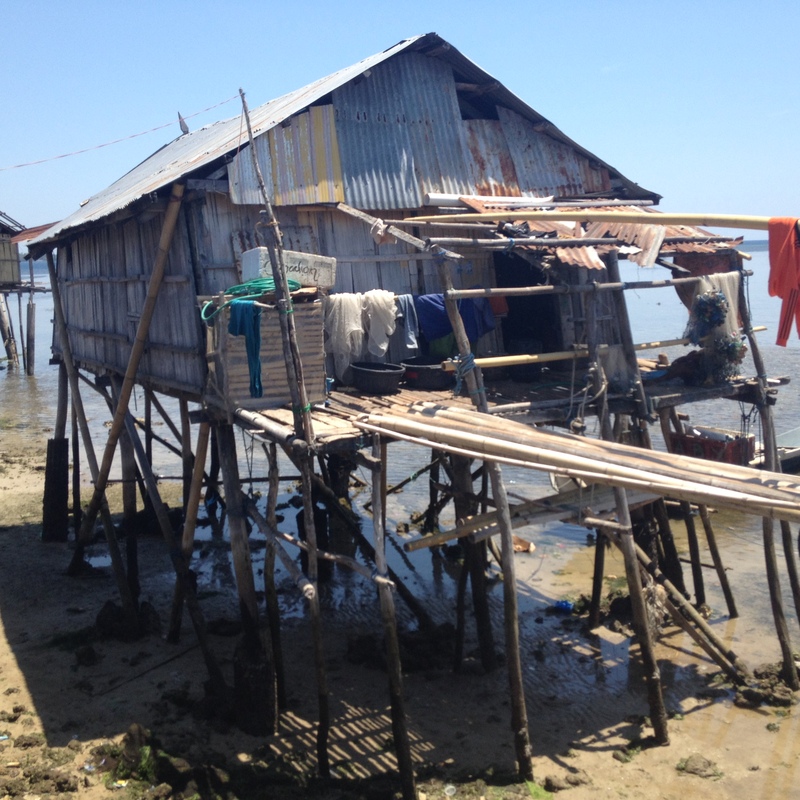 But this is Indonesia, so right next door to Maumere is a Muslim and Christian fishing village of Wuring built on stilts over the tidal flats. In fact, every morning I woke at sunrise to hear the village mosque broadcast morning prayers. 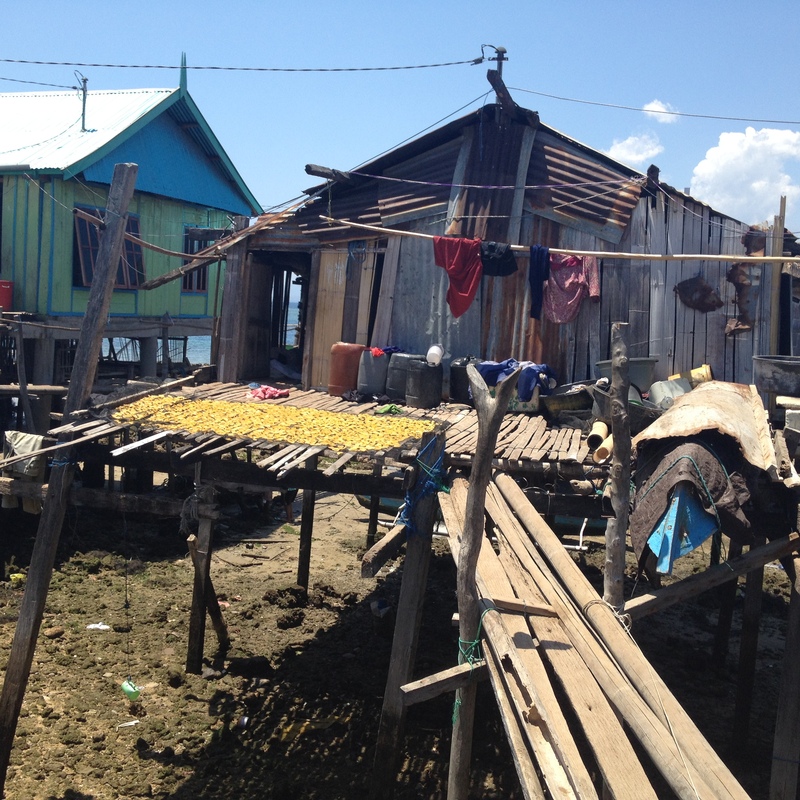 The people originate from Bugis and Bajo tribes from the south of Sulawesi. The village consists of more than 200 people who speak two separate languages. 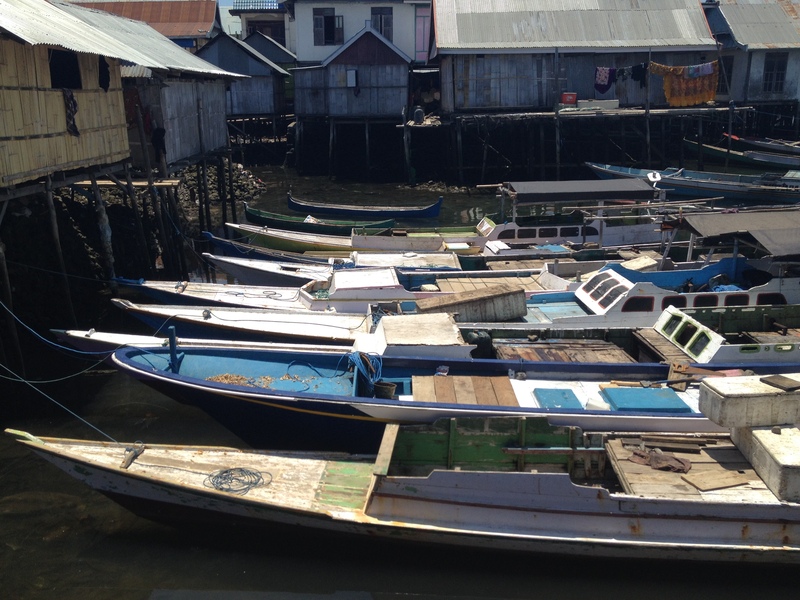 Speaking of different languages…there’s about 6,000 of them in Indonesia. Nick’s Catholic boarding school has boys from all around Indonesia. We spent a fun afternoon with the kids saying a phrase in Indonesian with the boys translated them into the dozen “local” languages they speak. 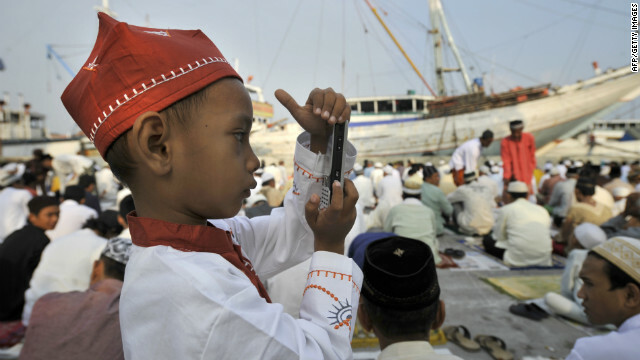 And finally, what is continually glaring about Indonesia is that within the same village there are people living in the entirely traditional world, and some texting and Facebooking with friends around the world. 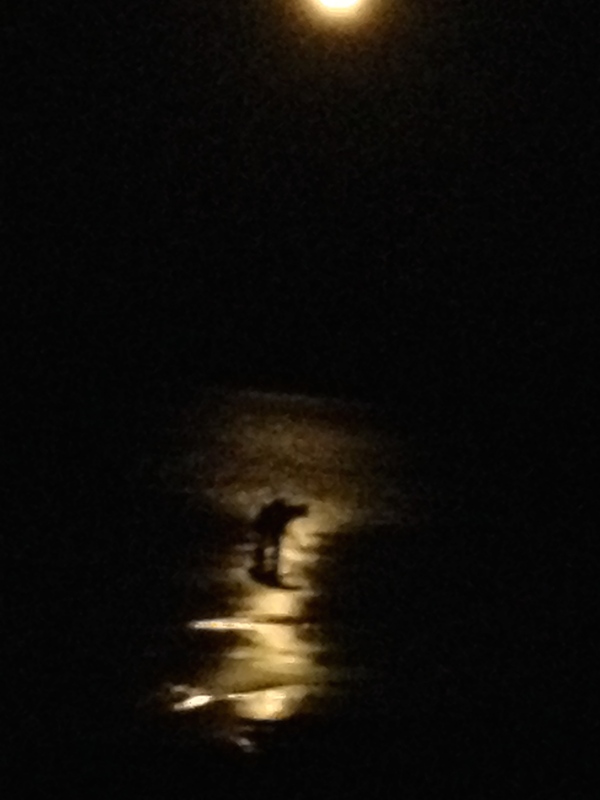 One night I was sitting on the beach doing a video call with Lucas while on the mudflats a traditional fisherman used moonlight to harvest fish to feed his family. I like many pictures. best blog yet!